A practical option all year round! 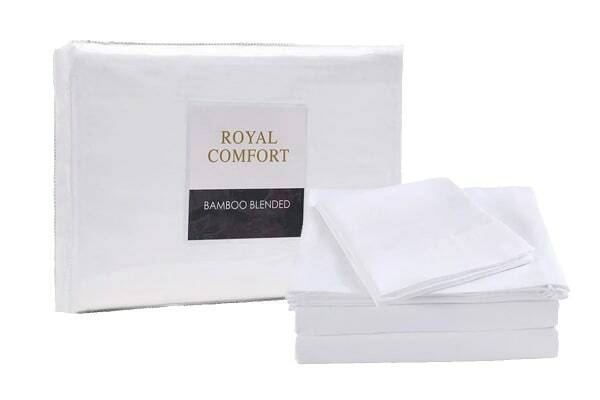 As the perfectly pratical choice all year round, the Royal Comfort 1000TC Bamboo Blend Sheet Set + Bamboo Pillow Twin Pack will ensure comfort and breathability each and every night. With its incredibly soft and absorbent material, formulated from a mixture of the finest microfibre and bamboo fibres, the Royal Comfort 1000TC Bamboo Blend Sheet Set + Bamboo Pillow Twin Pack will allow you a deep sleep no matter the season. The luxury blend of 40% bamboo and 60% microfibre is a lightweight bed set that is super practical all year round. 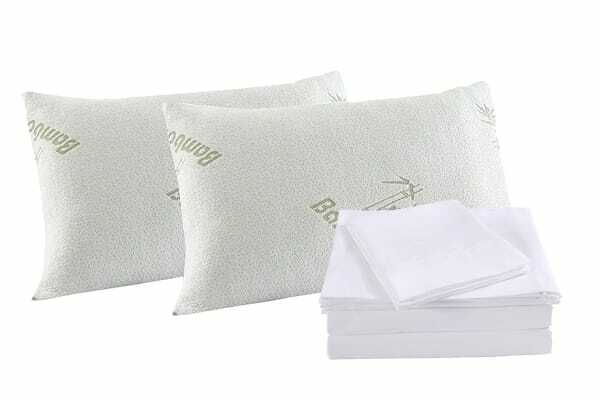 Natural bamboo fibre draws moisture away from the body keeping you cool and relaxed the whole night through. Bamboo is naturally an anti-bacterial and anti-microbial, is odour, dust mite and mould resistant, making it an excellent choice for allergy sufferers.